I am going to end up with a very bleak retirement if I don’t stop buying books. 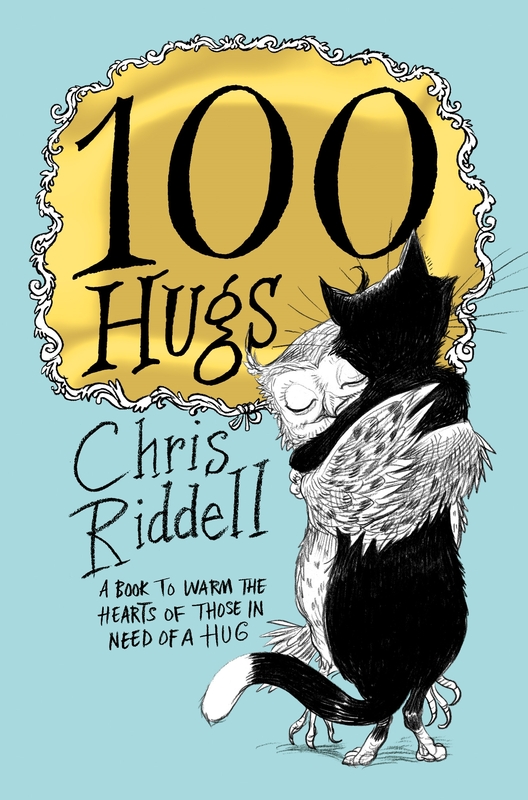 When you see 100 Hugs you will know why I couldn’t resist buying this to add to my Chris Riddell collection. It is just as well for him that we live on opposite sides of the planet as I think I would follow him to every book signing he does or every talk he gives. Not just an amazing illustrator and author, he is a wonderful supporter of all things library. Being a librarian I agree with everything he says. Libraries are in danger of being closed down (many have already gone) and schools without libraries just breaks my heart. Anyway, I digress. This latest book is adorable. Perfect size to fit in the hands of anyone and perfect to give to someone special. The illustrations are simple yet moving. Some pull at your emotions, draw you in and leave you all happy inside. Page after page of people, animals, book characters and more, all being hugged. The illustrations would make wonderful prints for any bedroom or library wall. Simply beautiful. I can’t share the pictures here because of copyright but seriously, check out the links above and see for yourself. This is one I will carry around with me, pull out and show everyone. Small and gorgeous. 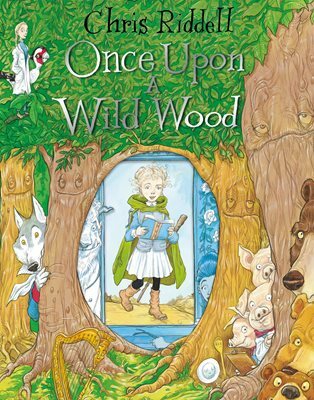 What a joy to read such a funny retelling of an old familiar story. 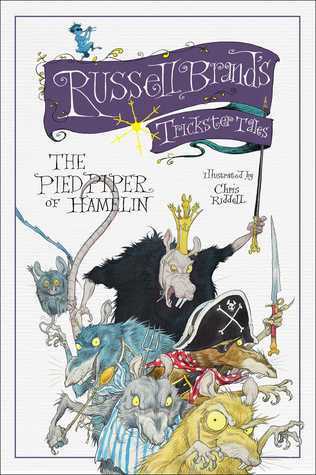 Russell Brand takes the traditional story and fills it with humor and laugh-out-loud moments which will delight not just kids but adults as well. Hamelin is a town filled with the most obnoxious, self-obsessed and mean-spirited people you can imagine. When the town is suddenly plagued with hundreds and thousands of rats, the Mayor seeks the help of a stranger to dispose of them. However, like all good stories, promises are broken and prices are paid. Lessons to learn, for sure but what a gorgeously funny way to make a point. 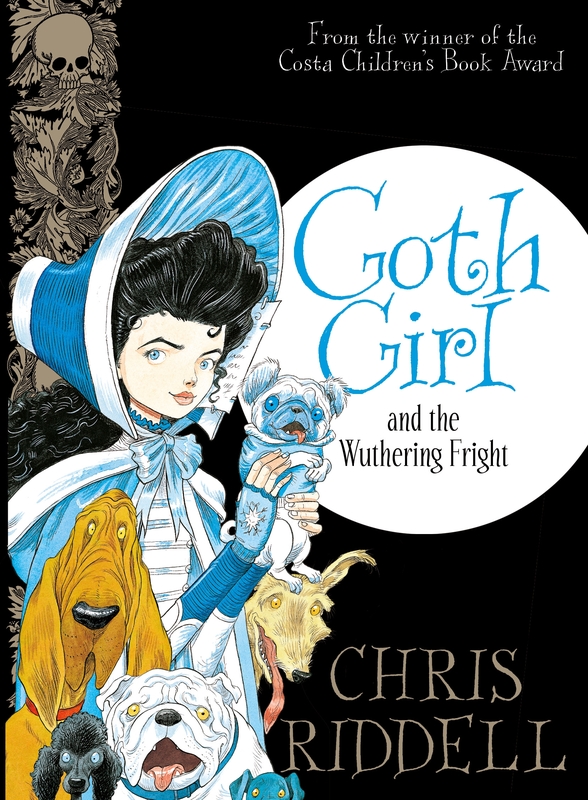 Chris Riddell excels at bringing characters to life in his very humorous illustrations. The personalities shine through, the good, the bad and the down-right nasty, warts and all. The combination of author and illustrator works so well that this is sure to be a hit. I certainly hope there will be other trickster tales and soon! Take time to listen to the author read from his book. This is absolutely gorgeous. 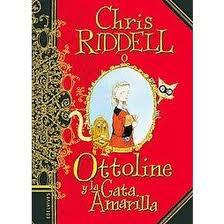 It is a beautifully produced hardback aimed at those girls who first fell in love with Chris Riddell’s Ottoline books. The edges are a shiny purple to match the cover. The end pages are shiny black with silver leaves and skulls. There is a black ribbon bookmark. There is also a delightfully small colour booklet in a pocket attached to the inside back cover. I have always loved books with pockets and envelopes and this is just the best gift for a young girl. I had just bought the book for school and it was on my desk for processing and the girls were all begging to reserve it. I told them they had to wait until I finished it but in the end I went out and bought my own personal copy simply because it is such a beautiful book to own. “Ada Goth is the only child of Lord Goth. The two live together in the enormous Ghastly-Gorm Hall. 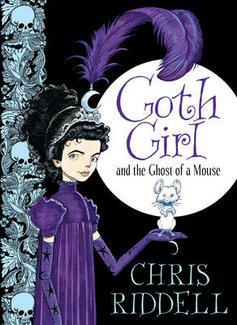 Lord Goth believes that children should be heard and not seen, so Ada has to wear large clumpy boots so that he can always hear her coming.” Her only friend is the ghost mouse Ishmael. Ada has had a number of nannies to look after her, including Hebe Poppins, who ran off with a chimney sweep and Jane Ear who was sent away after she tried to burn down the west wing. Great chance for those who love old classic literature to laugh over the characters. This really is a delightful story full of weird and wonderful characters. A step up in terms of reading from the Ottoline series this is aimed at girls aged eight up through even 12 year old’s who will cackle over the humour. I really loved this book. It is quite simply, gorgeous. A recent post on books for boys who don’t want to read prompted a look on the shelves at what the girls were reading as first or second chapter books. They do tend to like strong female characters, both girly- girl and bossy and independent types. Girls tend to be more flexible than boys with their reading so for them variety is a good thing. Below are some of the books which are currently trending in my library. This is a new series about the delightful Clementine Rose. Just perfect for those 7 year old girly-girls. Ivy and Bean are two great characters and the books fly off the shelves. Good friends who are not afraid to get involved and try different things. There are a number of books in the series, all equally popular. I couldn’t find trailers for the ones below but these books are also hugely popular and just like the ones above I have many reserves for them. I love the quirky line drawings in these books. Ottoline is a very cool character who lives with her faithful and very hairy best friend, Mr. Monroe. Together they get into heaps of trouble. In this book they sort out a mysterious cat burglar. 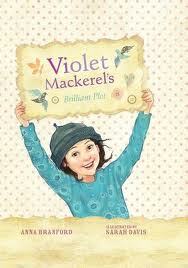 Violet is very likeable young girl. The black and white line illustrations are a draw card for these delightful books. Violet wants a special blue china bird she sees at the market and goes to all sorts of trouble to raise money to buy it.